First, key results from the SIGNAL (Studying the Implementation of GeNomics in wALes) project were presented by Dr Ian Tully (Neuroscience and Mental Health Research Institute, Cardiff University, Cardiff, UK). Dr Tully used a new genetic sequencing method to identify a potential cause in the genetic makeup for the varied signs and symptoms experienced by 45 patients for whom traditional methods had failed to provide a diagnosis. Using this method, he obtained diagnoses for 12 (27%) of the patients investigated. Additional results from the study showed that doctors cared more about the informed consent process than patients did; the patients themselves were more interested in obtaining a diagnosis or an explanation for their symptoms. The second presentation of the day, given by Catrin Middleton (Genomics Partnership Wales), was a lively presentation of the new government-funded genomics strategy by Wales Gene Park (Cardiff, UK). This strategy will be co-produced with patient advisors to place patients with rare diseases at the heart of the genomic medicine revolution. The organization is keen to involve patients from the launch of the strategy via public consultation and ‘sounding boards’ to top-level government boards so that patient representatives can voice their opinions and concerns. Sarah Gilbert (Genetic Alliance UK) discussed the main findings of the Understanding Children and Young People’s Experiences project, which investigated children’s perception of their disease. This is an important first step because it is often the adult caregivers who are asked for their opinions rather than the child patients; however, children highlight different aspects of their experience from caregivers. The results of this study showed that children felt that it was important for doctors to discuss their disease directly with them rather than with their adult caregivers. Children also discussed the need for coordination of care to avoid missing school, not only for educational purposes, but also to maintain peer relationships. This study highlighted key differences identified by consulting with the child patient rather than the adult caregiver, and has shown how future patient engagement sessions can be used to improve care for children with rare diseases. The research conducted by Genetic Alliance UK continues with the launch of a subsequent study investigating the best approach to coordinating care for children. 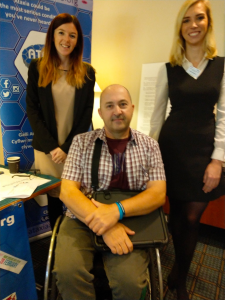 Patients and carers also gave moving talks throughout the day about their personal experiences of rare diseases and how, despite their extensive knowledge of their disease, this expertise is rarely recognized by healthcare professionals. The talks also emphasized that doctors often have limited knowledge of rare diseases, which was frustrating for most patients. These insights show how programmes that involve patients can improve the diagnostic and treatment pathways for rare diseases within healthcare systems. In other talks throughout the day that focused on the patient experience, many patients expressed their frustration that their needs are not always listened to and that studies fail to ask what is important to them. Overall, this event has shown that efforts to improve experiences for patients are ongoing and broadening throughout the pharmaceutical and research industries. The meeting highlighted that patient organizations and groups play a vital role in collaborative clinical studies. They help to build and maintain trust between the pharmaceutical industry and patients, which contributes to improved study outcomes.